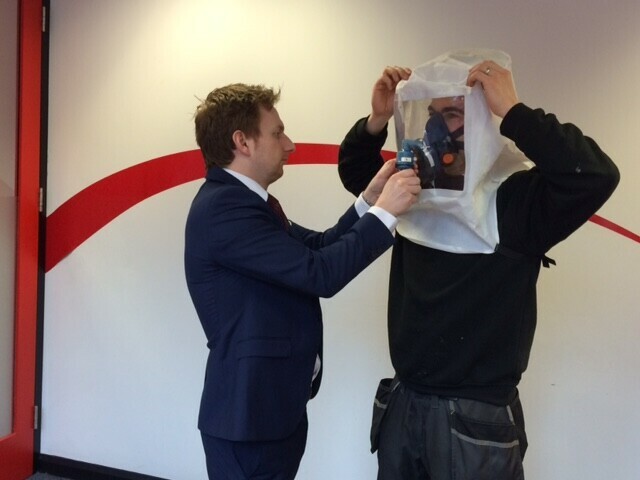 As part of our ongoing programme of health and safety toolbox talks, Lee Ainsley of Stallard Kane gave MSL engineers the ‘Face Fit Test’ for Disposable Particulate Respirators, and Half Mask Respirators fitted with particulate filters. Lee is a H&S Consulant from Stallard Kanes who works closely with MSL, assisting with the management of the MSL safe partner scheme and keeping us up to date with training / H&S updates for all the MSL engineers. 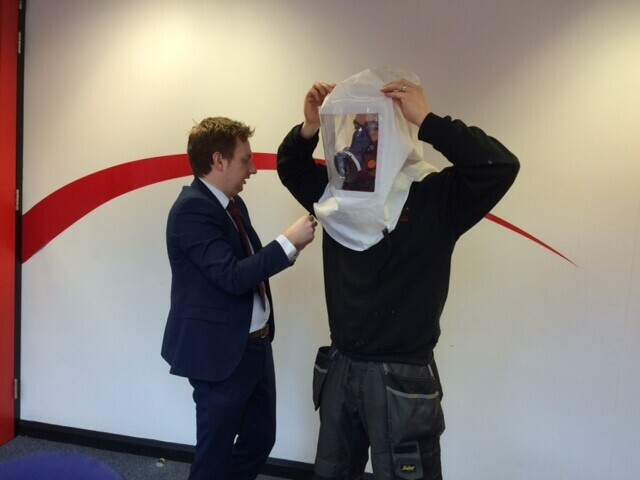 Lee often gives Toolbox Talks on matters of Health & Safety that could potentially affect our staff. 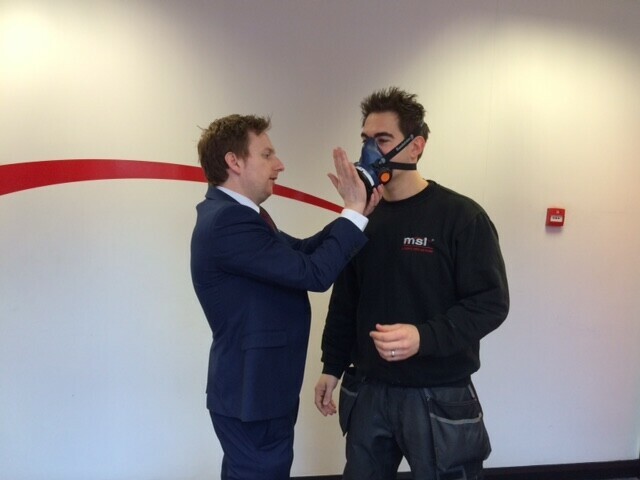 Why do we need to test fit respirators? Where respiratory protective equipment (RPE) is used as a control measure under Health and Safety Legislation (see paragraph 6), it is vital that the selected RPE is adequate and suitable. RPE must reduce exposure to as low as reasonably practicable, and in any case to an acceptable level (e.g. below any applicable Workplace Exposure Limits or Control Limits). To ensure that the selected RPE has the potential to provide adequate protection for individual wearers, the ACoPs supporting COSHH, CAR and CLAW stipulate that tight-fitting RPE must be fit tested as part of the selection process. 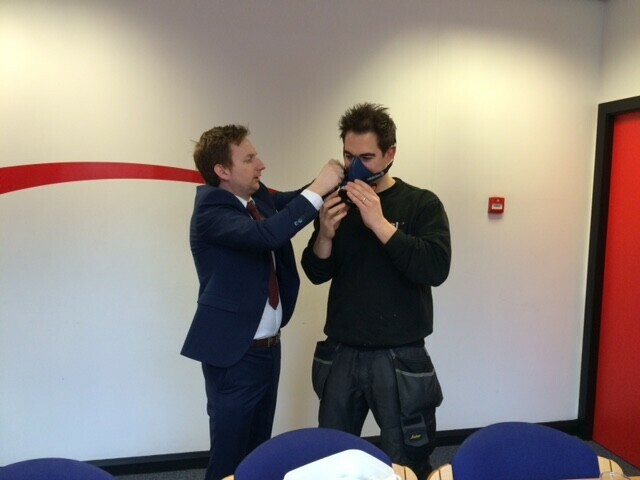 This will help to ensure that inadequately fitting facepieces are not selected for use. 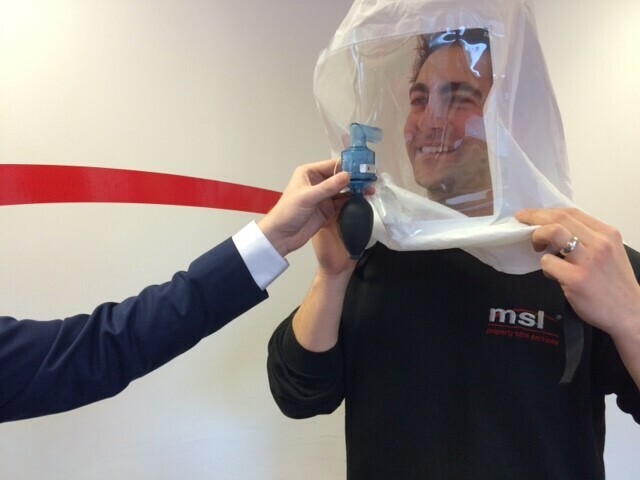 Ill-fitting facepieces can create inward leakages of airborne contaminants.